In recent weeks we’ve learned of the legend of John Creighton. For and in his name and the community of street historians he organized and gathered we will continue to rush the speculative revisionist historians with the facts. And if folks such as Yale Professor David Blight continue in their blatant thievery of our sources, citations and information without attribution there will be further fury in the complete dismantling of “professional historians” who have less personal integrity than the lowest low-life dirty rotten scoundrel. What differentiates Prof. Blight and the below described “rich Methodist” in their personal pursuit of profit through immorality? Blight’s immorality is the profiteering of his speculative and revisionist scholarship, against the doctrine of Douglassonianism. 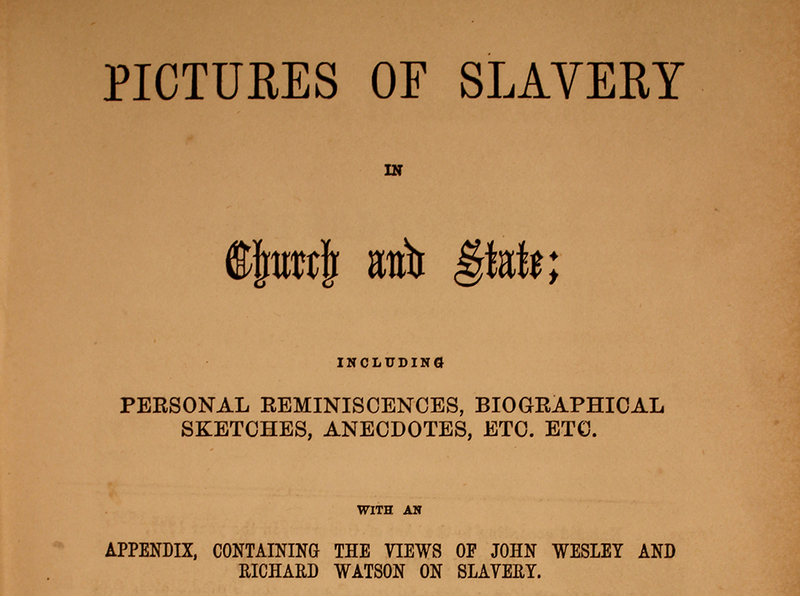 The immorality of the “rich Methodist” is the profiteering of slavery, against the doctrine of Methodism. No language can describe the disgrace that David Blight is to the uplifting of Douglassonian scholarship. Out of the Ivory Towers, out of the Ivy Leagues comes David Blight’s speculative garbage. Out of enslavement came Dr. Douglass and his entire tribe. The facts in the case are substantially these. A free colored man, and cousin of Frederick Douglass, who was liberated by Capt. Thomas Auld, of Talbot County (and I will just here say, without the knowledge or consent of Capt. Auld, that he has manumitted some six or eight young colored men and women since 1844), married a woman who was also free. They had no children of their own; but a free colored woman, on her decease, had left them her little daughter to bring up. This man was sober and industrious, and a good painter. The little girl was old enough to be of great service to his wife, who was afflicted with partial blindness. According to the laws of Maryland a white man can seize a free colored man’s children, take them before a magistrate, and have them bound to service against the consent of the parents. On the holy Sabbath, a rich Methodist, accompanied by a constable, went to the house of the colored man while he was absent, carried off the girl, and on Monday morning took her before a magistrate and had her bound to service. A Methodist of standing took the part of the poor colored man, and appealed to the Orphans’ Court of Talbot County; but the Court decided that the oppressor had violated no law, and the counsel of the latter stated to the Court that the laws of Maryland did not recognize the parental relation among negroes any more than they recognized that which exists among brutes. I then urged the preacher in charge to have the delinquent brought before the church. A committee was appointed; but the man was acquitted. And this moral and religious kidnapper is still in the church, and, I suppose, contributes his mite towards sending missionaries to convert the heathen. Research that research assistants for David Blight or David Blight himself has been shown to take without attribution. This entry was posted on September 4, 2018, 10:36 am and is filed under Uncategorized. You can follow any responses to this entry through RSS 2.0. You can leave a response, or trackback from your own site.